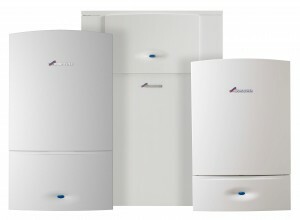 DHS are accredited installers of Worcester Bosch boilers in Bristol and the surrounding area. This means you can have confidence that we will carry out a first-class installation of any Worcester Bosch boiler that you choose. It also allows to offer extended guarantees of up to seven years on their products, something only approved Worcester boiler installers can provide. To find out more about having a Worcester Bosch boiler installed by DHS’s Gas Safe registered engineers, call today on 0117 924 7200 or fill out our contact form for a swift response. Worcester Bosch have been producing boilers in the UK for over fifty years and have an enviable reputation for the quality and reliability of their products. They even supply hot water products to the Royal Family, having been awarded the Royal Warrant by Her Majesty the Queen in 2009. 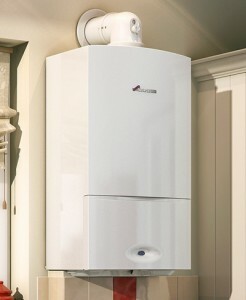 In September 2014 Worcester Bosch’s entire range of Greenstar gas boilers where named Which? ‘Best Buy’ for the fourth year running as part of their 2014/15 report on behalf of the Consumers’ Association. Worcester Bosch’s wide range of products include gas combi boilers, standard gas boilers and oil boilers in a range of size and outputs. That means whatever the requirements of you and your home, there is bound to be a Worcester boiler to suit your needs. We will be happy to talk you through the options to help find the boiler that’s right for you. You can have a new Worcester Bosch boiler installed on finance. This means you can have your boiler installed now and then spread the cost over equal monthly instalments. We have various pay monthly packages available ranging from 10 months to 10 years! To find out more about getting a boiler on finance, just get in touch with the team and we can run through the options. At DHS, all of our plumbing and heating engineers are Gas Safe registered and have the appropriate training and qualifications needed to be able to offer safe, reliable boiler installations. We are able to provide same-day quotations (8.30am-5.30pm Mon-Fri) and can usually offer installation within 48 hours for high priority cases (dependent on engineer and product availability). If you need a Worcester boiler installer in Bristol or the surrounding area, need servicing or repairs on your existing boiler, or would like to discuss your options, please feel free to get in touch.